No doubt you've heard - John Kelly, a former Marine, and four-star general, is the new White House Chief of Staff. 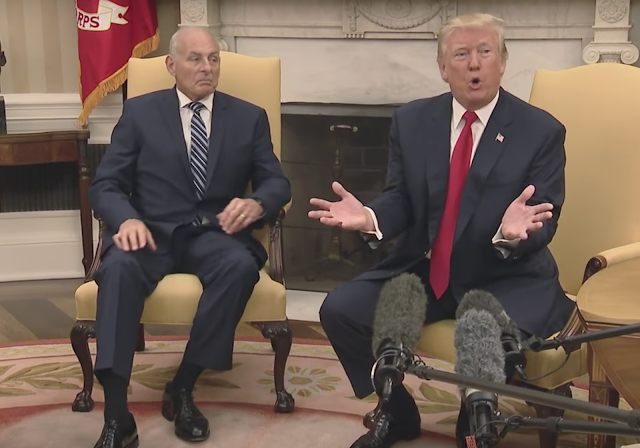 Earlier this week, President Trump and Mr. Kelly had a short press appearance conducted from the Oval Office. 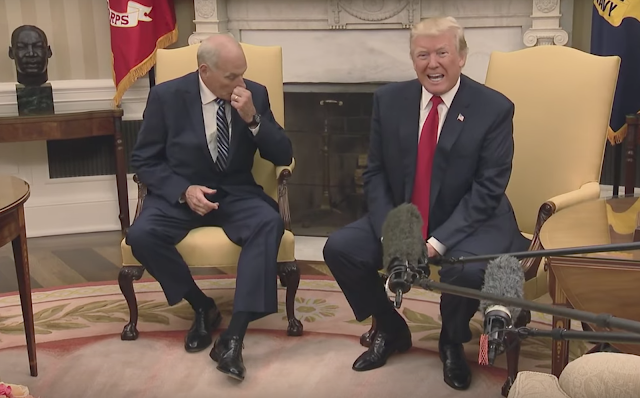 What follows is a partial nonverbal analysis of this meeting - focused on John Kelly's responses. 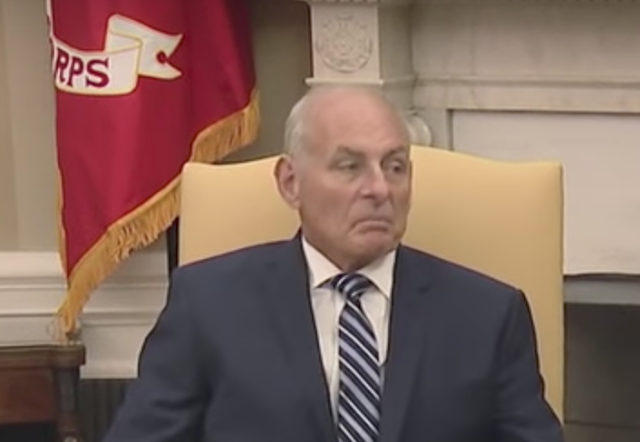 0:05 - John Kelly displays a "Nose Pull" - which is a signal of alpha up-regulation. Said another way, the nose pull (primarily used by men) is a physical manifestation of the psyche's recognition that it must "step it up" and "get in the game". 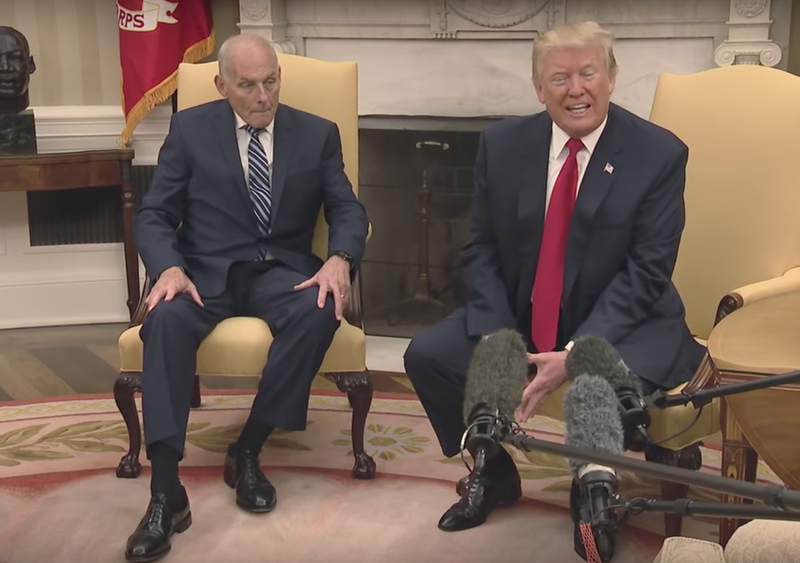 Like most anyone is such an important position, Kelly fully recognizes his challenge - and yet it brings him significant anxiety. 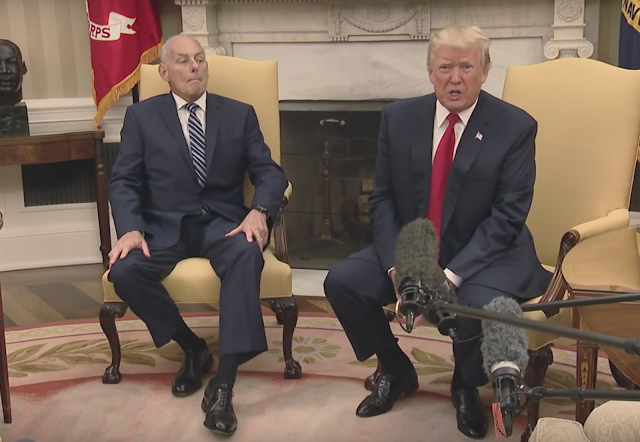 0:23 - As the President says, "... and with a very controversial situation ...", General Kelly sits backward (distancing himself from Trump and his statement) and configuring his mouth in an "Inward Lip Roll" (ILR). The inward lip roll is a subconscious effort to avoid a crescendo of inward emotions - as well as preventing strong emotions from appearing outwardly (on the face). General Kelly does not want the President to make any such "controversy" worse. 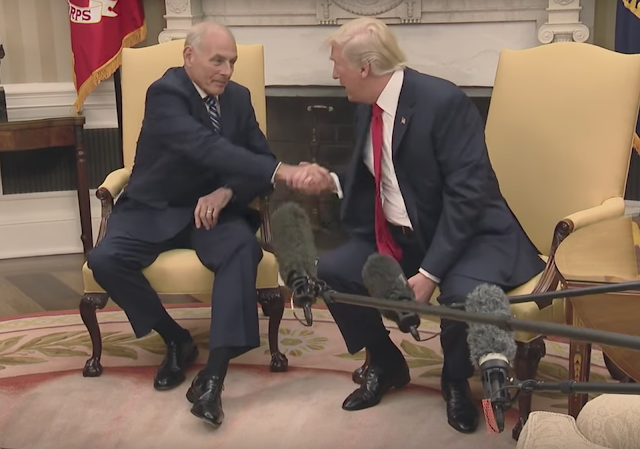 0:37 - President Trump shakes General Kelly's hand in manner, which for him, is very typical. There's no doubt that Donald Trump has been told not to shake hands this way - for it's highly correlative with narcissistic personality disorder. However, the fact that he persists is a reliable harbinger for predicting other behaviors. 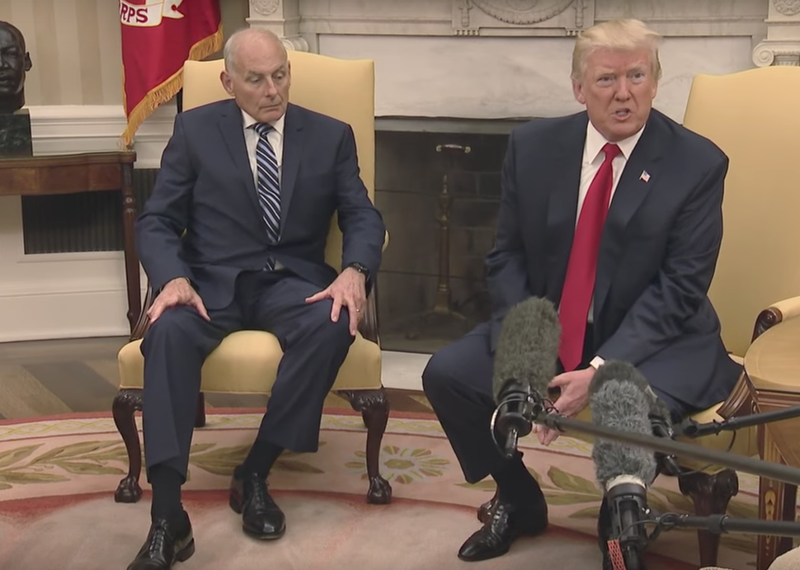 0:43 - 0:52 - General Kelly reconfigures his body in anticipation of leaving. He's ready to push himself to a standing position. He's impatient (notice his fingers on his right hand tapping against the chair) and very much wants this presser to be over. At 0:48, Donald Trump says, "I think we've done very well - we've done very well - lots of records, lots of records, created jobs, ah, you look at, ah, stock market's the highest it's ever been - unemployment, lowest in seventeen years - ah, companies are doing tremendously well - business spirit is the highest it's ever been according to polls - you look at the polls - it's the highest it's ever been in the history of these polls ...."
The third time Donald Trump says, "... polls ...", at 1:09, General Kelly displays a prominent microexpression of disgust. He also simultaneously pulls his torso away from the President. Here is a close-up of image of the microexpression shown above. John Kelly has clear feelings of disgust for what Donald Trump is saying. 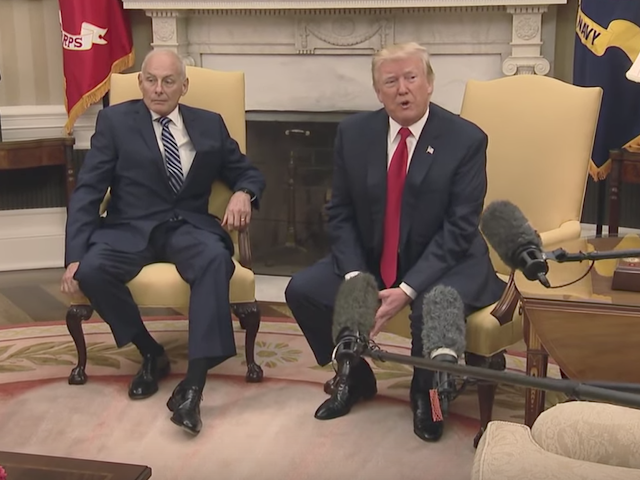 From 1:09 - 1:40 (the end of the video), John Kelly signals his impatience once again as readies himself to stand, and taps his right index finger on his knee multiple times. 1:36 - as Donald Trump says, "... But we have a fantastic leader ...", General Kelly again displays an inward lip roll - signaling his psyche's effort to contain his growing emotions. Summary: It's common knowledge that John Kelly does not seek the limelight. His nonverbal behavior in this exchange also shows he very much doesn't like it when Donald Trump gets grandiose. Moreover, he displayed clear disgust for the President. General Kelly also fully recognizes his need to dial-up his own alpha qualities. Body Language Analysis No. 4018: Alexis Bledel and "The Handmaid's Tale"